LANGLEY — A couple of weeks ago, I called Olivia Morgan-Cherchas on the telephone to ask her a simple question. It’s the one we have re-posted today as this story’s lead cover art. 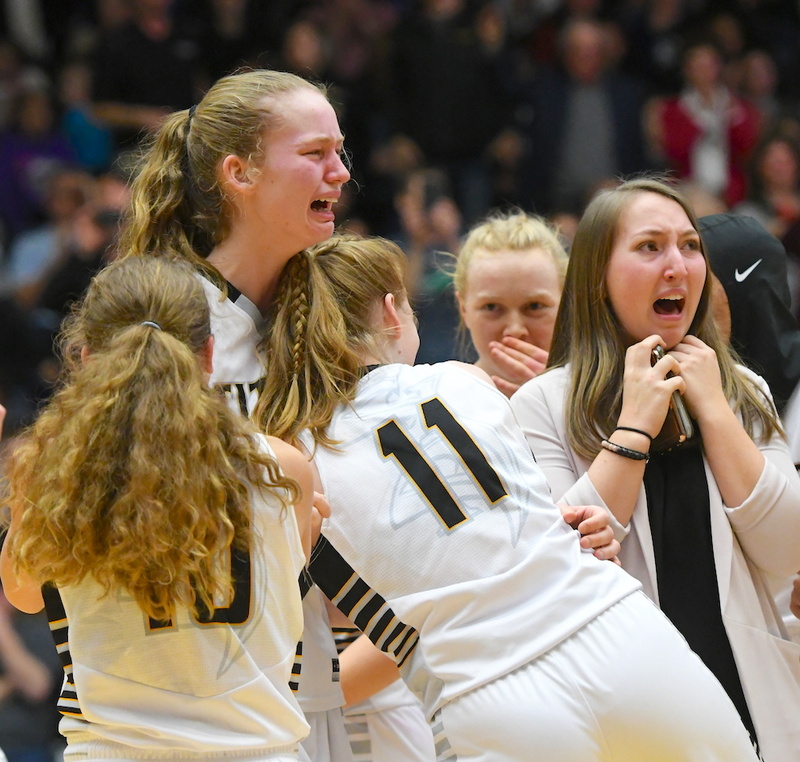 “I didn’t think it was that obvious,” the South Kamloops Titans’ Grade 11 forward told me of her expression, captured about 90 seconds after her team had claimed an 73-67 victory in the provincial title game over Chilliwack’s G.W. Graham Grizzlies at the Langley Events Centre. That photo. That moment. It’s why we’re here today. In the grand tradition of a picture being worth a thousand words, we continue our look back at some of the biggest moments from our recently-completed 2017-18 B.C. high school sports year by delving beneath the surface of that image. 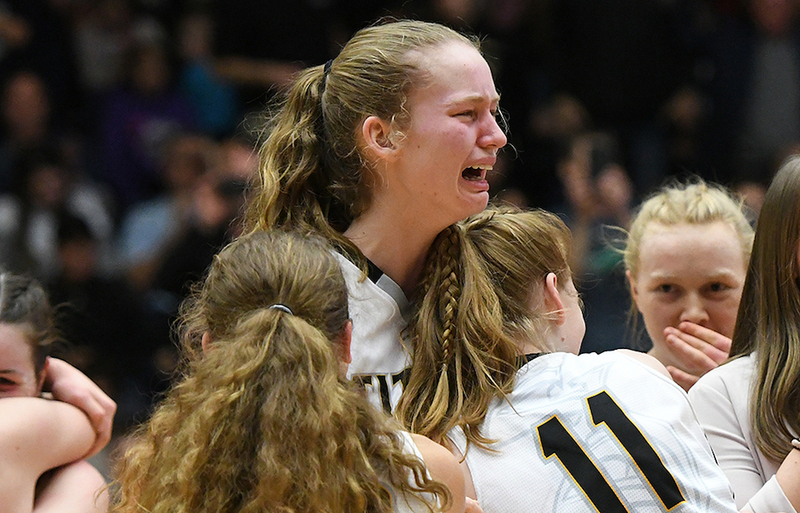 Only by tracing the trajectory of her season do we fully understand what led to the emotional elation of her March Madness moment. Imagine being one of just 28 girls high school basketball players from 14 different countries around the world to receive an invitation for an all-expenses paid trip to Los Angeles to experience the NBA’s All-Star Weekend? That was the opportunity presented to Olivia Morgan-Cherchas, the prodigious 6-foot-6 Grade 11 forward who has continued to gain traction within the delivery system of Canada Basketball. Yet you can’t ask Morgan-Cherchas how much she enjoyed her adventure, one which was funded by the NBA’s Basketball Without Borders, because in the end, she decided to politely decline. Turns out the trip came on the same weekend that the Titans were playing in the Okanagan championship tournament. 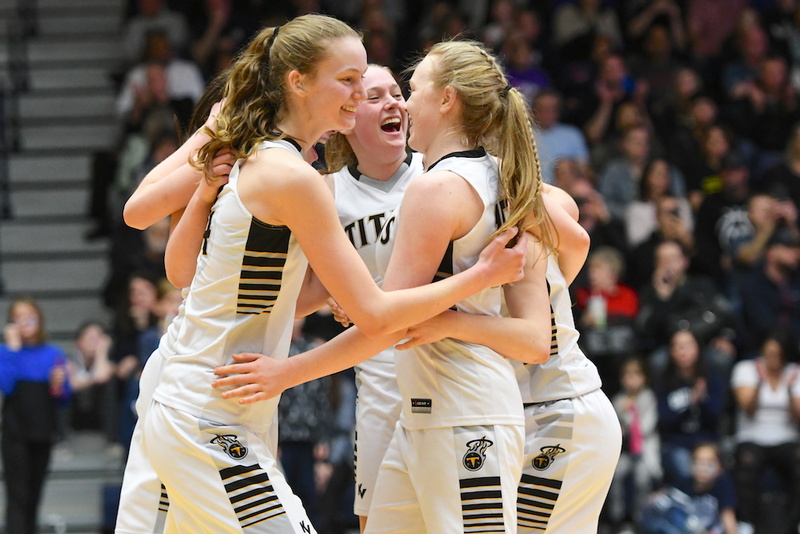 Now, you can easily look back in hindsight and see how talented the Titans actually were, led by their rising senior point guard Maddy Gobeil, and make assumptions that they would have been able to earn their B.C. tournament berth regardless. Yet that is what makes Morgan-Cherchas’ decision so special. Yes, as she admits, it was hard to say ‘No’ to such an incredible opportunity. Yet as Morgan-Cherchas expressed her thanks to those who had extended the offer, she says she was heartened by the level of understanding she received for making what she called a values-based decision. Yet Komarniski soon discovered the level of thought that Morgan-Cherchas had given the dilemma. Hearing such stories in hindsight only reinforce the humility of this young student-athlete. And, in fact, a flu bug did sweep through the team at the Okanagan championships. Morgan-Cherchas, however, never advertised her sacrifice. In fact no one knew the full extent of it until earlier this month when Komarniski decided one day to share it with a few of his Phys Ed classes at South Kam as an example of character when the world wasn’t looking. So now, take another look at the photograph. Are you seeing it with an even deeper level of understanding? Contrary to what you might think, it’s not easy being 6-foot-6. It’s not easy to maintain equilibrium at a young age, when so much of a team’s fortune, real or imagined, is placed squarely on your shoulders. And it’s not easy from the very real aspect that, game to game, opposition teams bring the house, often times surrounding you with a barrage of defenders. Yet ask Olivia Morgan-Cherchas about all of this, and she ducks none of it, admitting candidly that it has been the biggest struggle within her growth as a person and a player. Nonetheless, she still averaged 16 points and 12 rebounds per contest this past season. And when the new campaign tips off in late November, it will become increasingly tough to mount such defensive tactics as both Morgan-Cherchas and Gobeil once again return in tandem as two of B.C.’s very best players. Yet the pressure won’t dissipate for a Titans team which will open at No. 1 in the AA rankings and instantly become the team to beat at its tier. As a big part of her maturation process, Morgan-Chechas knows her basketball journey will place her in spots where the appearance of new hurdles will remain a constant. “I think it will be a part of me, but having more mental strength to push it away will be a big thing,” she says. Which brings us back to that photograph and how much more deeply we can appreciate its emotion.